Memorial card with portraits of Clementina and Libero Sauro, created by one of their sons. 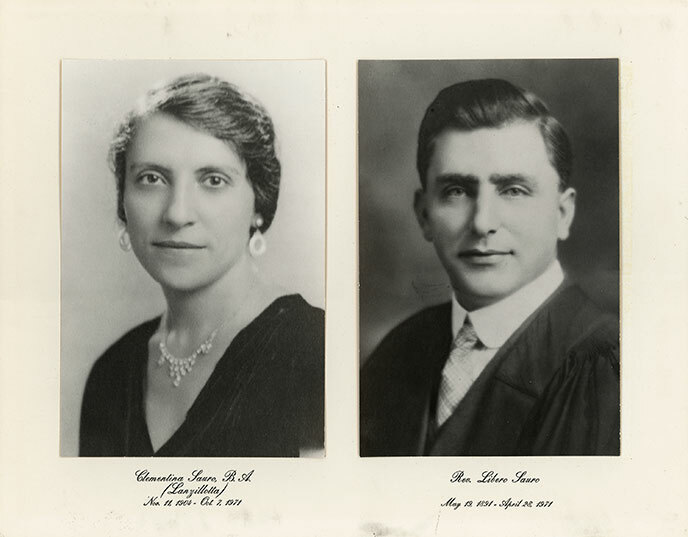 The portraits were taken at the time of their respective graduations. An exceptional woman, devouted wife and mother, Clementina was relentless in her mission to have her husband released. Unlike many of the other wives, Clementina was educated and fluent in English. She had worked as a teacher prior to her marriage. Although much younger than her husband, she passed away within 6 months of his death.